... is the founder of Lanona Shoe Co. Ben just wanted to build a custom shoe. One of ‘em, for himself. Well a pair really, but that’s it. That’s where Lanona started. He figured it couldn’t be that hard to find a shoe repair place that might know how to cobble together a one-off shoe that no one else had. Well it turns out, it’s not only hard, but it can be life-changing to try to build a shoe - before you know it, you’re building a shoe company. How has living in Minnesota impacted your work? The weather is an element that has impacted our work, especially with the type of products we offer. We recently launched our first boat shoe influenced by the “up north lake life” many of us experience in the summertime. You’ll notice our boat shoe is slightly thicker than most boat shoes on the market. I think part of that difference stems from our time spent on Lake Superior where temps are usually on the chilly side even in the summer. A more rugged boat shoe seemed to make sense to us. 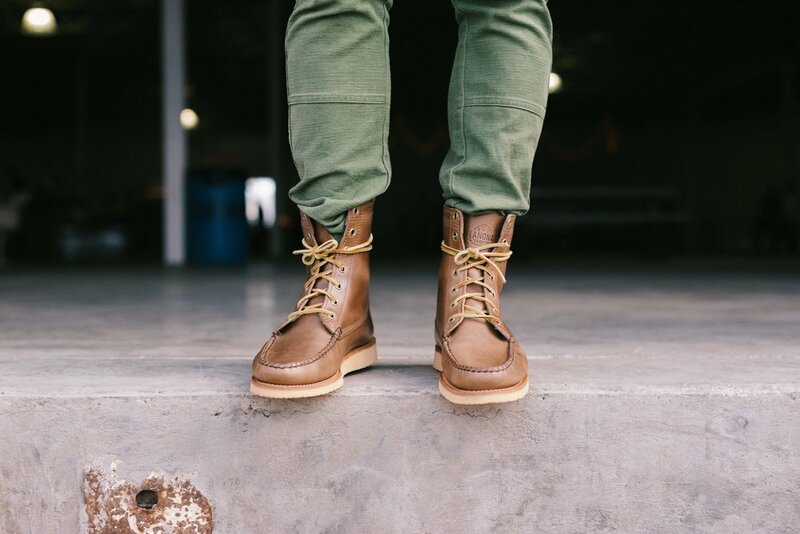 There’s a sense of function we want our products to offer to the Made in MN community, but also style. Our products are unique and use some of the best materials available for footwear. We also want our customers to be proud of the Lanona gear they wear. A focus on quality and customer service is key to uphold the pride in what we’re doing. I like the interactions you have with the business owner or maker when shopping local. There seems to be more transparency when shopping local with how things are made and where elements of the product or service are sourced. In most cases, there’s more of a story to tell and can bring people closer together as a community. I still don’t necessarily see myself as a “maker.” Although I personally make a part of our footwear, I work with some incredibly talented people that I deem the real makers. But the fulfillment comes from seeing the product you’ve designed and put together take on its own life when someone purchases them. It’s great to see our products literally walk out the door. What has this path given you? Lanona is still a start-up, but I’ve been given the freedom to pursue something I’m passionate about. Right now, every sale goes back into Lanona to build our company and product offerings. Like most start-ups, it’s a challenge to make it work, but we’ve experienced a steady growth since launching Lanona last year. It’s great to see we’re offering up some products that fit within the market and we’re in a community that really stands behind local brands and supports makers.